The goal of our Practice Management Solutions Courses is to train functional medicine and functional medicine ‘minded’ practitioners in the art and science of addressing the major chronic health conditions that exist in our society by providing an educational platform and health management recommendations that are easy to understand and implement. Spots are limited - Register Now! This course is for clinicians looking learn the foundations of functional medicine by understanding the linkage between the GI tract and the immune system. The course participants will acquire knowledge necessary to develop effective treatment protocols including nutraceuctials and lifestyle changes for managing GI and other chronic conditions. All clinicians looking to gain a deeper understanding of the Functional Medicine philosophy of diagnostic testing and the critical role it can play in the formulation of chronic disease health management protocols. In this GI Dysfunction course, Dr. Wayne Sodano will cover the connections between the body's immune and gastrointestinal system through the lens of functional medicine. In addition, Dr. Sodano will explain how to Read & Interpret the Results of such popular diagnostic tests as GI MAP with Zonulin, SIBO-Small Intestinal Bacteria Overgrowth, FIT-food inflammation test, and many more. Sessions 1 – 3 are spaced one week apart, starting November 1st. 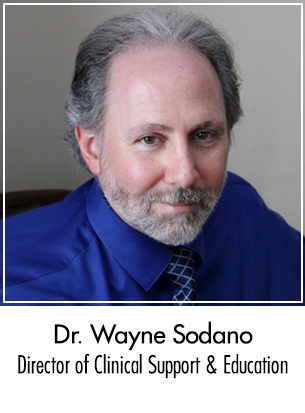 Dr. Wayne L. Sodano is a Board Certified Chiropractic Internist, Diplomate of the American Clinical Board of Nutrition, and Certified Functional Medicine Practitioner who has practiced and taught post graduate programs since 1985. He is a former instructor with the American Board of Chiropractic Internists, currently dedicates his time to research and development in the areas of integrative and functional medicine, and teaches distance learning and live post graduate programs nationwide and internationally. He also serves as the Director of Clinical Support and Education with Evexia Diagnostics, a professional laboratory and diagnostic services company that also offers a multitude of services to physicians. You can also call us direct to register at 888-852-2723 .